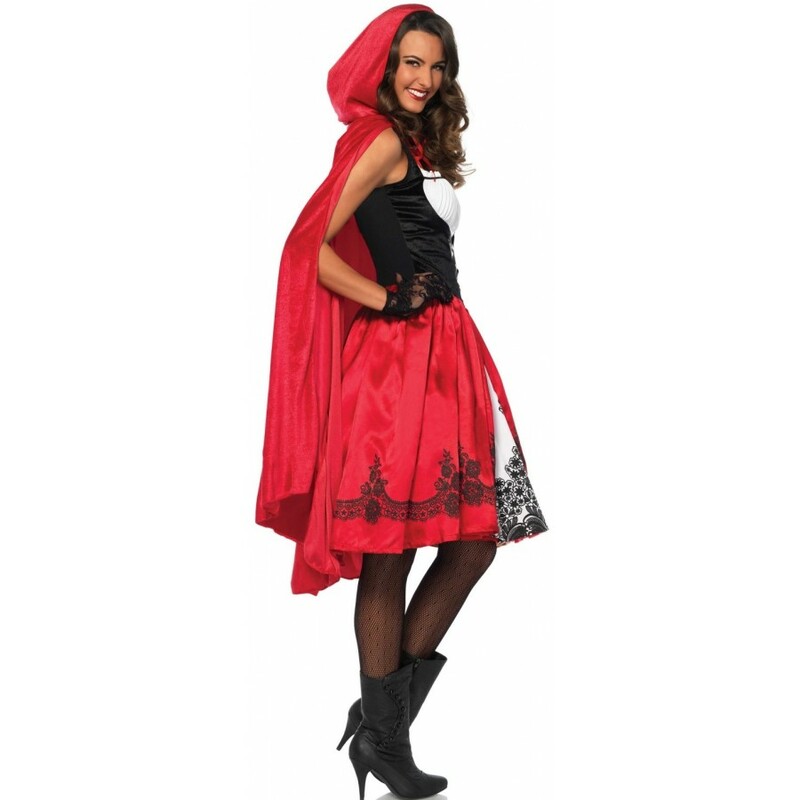 Classic Red Riding Hood costume is a knee length dress with long velvet hooded cape. 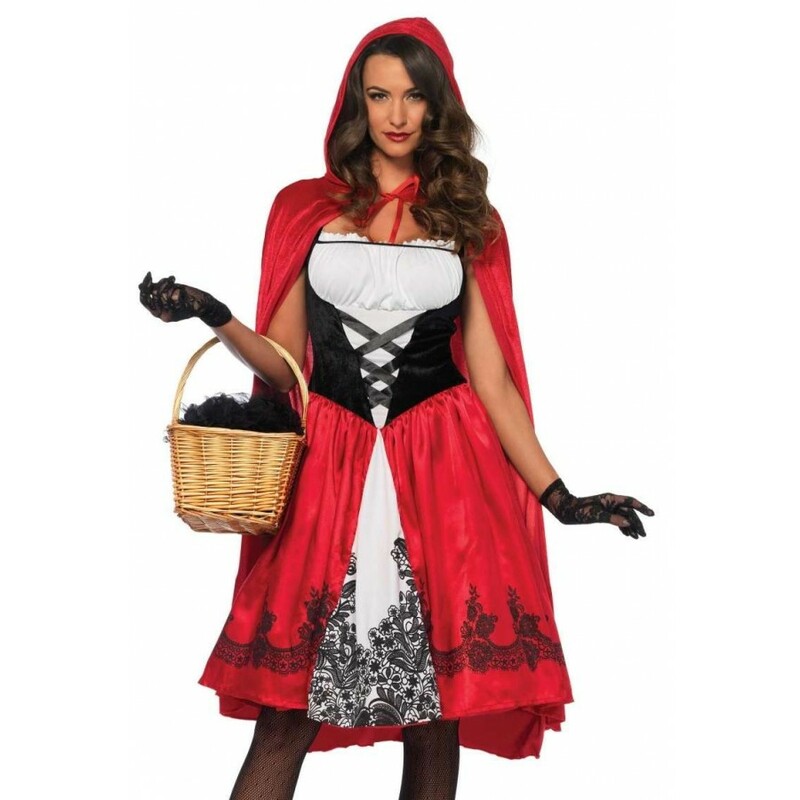 Classic 2 piece Red Riding Hood costume for women has a tea length peasant dress with brocade print skirt, zipper back closure, and long velvet hooded cape. 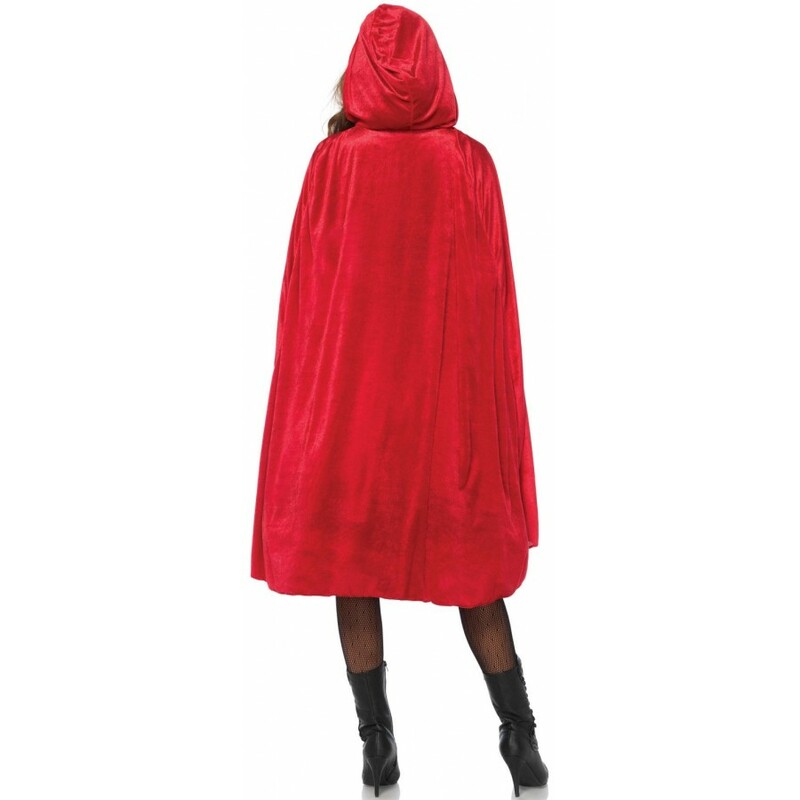 Item Number: LA-c85614 | Approximate Size (Inches): 10.00 wide x 3.00 deep x 14.00 high | Approximate Shipping Weight: 2.00 lbs.